See what our clients are saying! Our goal is to help you find the dream dress or tuxedo for your next special occasion – Prom, Homecoming, Weddings, Holiday Parties, Balls, Galas, Quinceaneras, Pageants, Reunions, Family Portraits, Cruises and more. She found the perfect dress! Thank you for making it so easy! By far our favorite dress she's worn to any event! Thank you Couture House. I adore my dress! Thank you Couture House. My daughter was beautiful in one of your gowns. Couture House you never disappoint. Thanks again for another perfect dress. Your staff was so nice and patient in helping me pick out the perfect gown! Thank you all so much for the help with picking out this gorgeous dress!! I got so many compliments on it! My daughter loved her dress for the Woodlands High ROTC Ball. Thank you Couture House for helping her pick the perfect dress for the perfect night!! It was fun just being with y'alls staff and trying the dresses on to see which one I want! Thank y'all! Thank you so much for my beautiful evening gown! Thank you for making her day so beautiful! I had an absolutely fabulous time today trying on all of the gorgeous gowns at Couture House!!!! My daughters looked amazing. Thanks Naz! Thank you so much! Both girls couldn't have been happier with their dresses! Thanks for making my only daughter's Prom a success. Job well done! We will for sure use you again. Gorgeous dress for our gorgeous girl! Your staff went above and beyond to help us out. Thank you for helping me get the perfect dress. Everyone we dealt with was helpful, cheerful, and kind! THANK YOU. Can't say enough great things about this place! Thank you for making this beautiful mama-to-be to be feel extra gorgeous! Had a blast in my dress. Lots of compliments. 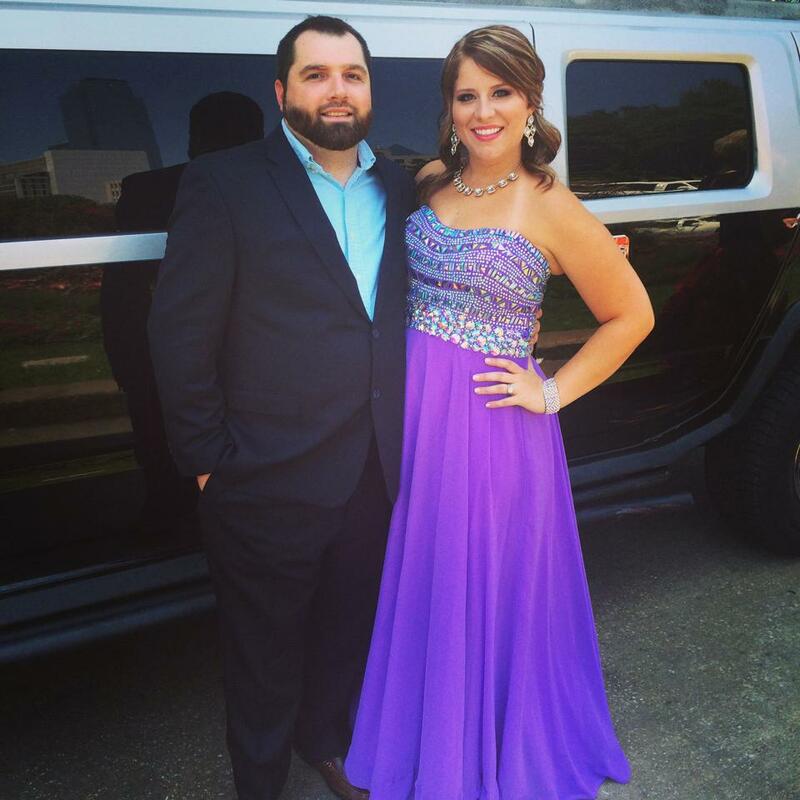 I absolutely loved renting my Mardi Gras evening gown from Couture House! We had a great experience. Beautiful gown! She looked stunning! Great dress! Excellent customer service, great dresses and we will definitely be returning customers! Love love love my dress I rented from the Couture House! Loved the experience from picking out the dress and receiving so many compliments about my dress!! Thanks again Couture House for making me feel like a million bucks! Your dresses are just stunning! CHR Woodlands thank you once again for an amazing gown. We will see you soon! Dress was perfect for a Gatsby Prom! I loved my dress and got many compliments! Everyone was very helpful and friendly. We look forward to seeing you again in the future. Thank you for a beautiful dress! Had a great experience with Couture House! The dress was perfect, and I felt beautiful at prom! Amazing dress for a gorgeous Senior! Thank you Couture House Rentals! This dress was perfect for my daughter's event! Couture House Rentals made finding the dress so easy! My daughter looked fabulous and her date was so proud to have her on his arm! Thank you for helping to make her night!! !